My research is on the design and analysis of algorithms for autonomous vehicles and robotic systems. 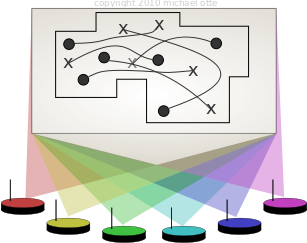 My major research thrusts involve: motion planning for single and multi-agent systems, and distributed algorithms that enable robotic teams and/or swarms to pool resources in order to solve their common problems. I am particularly interested in applications where the environment is hazardous and/or changing and communication is unreliable. My work involves elements of planning, control, robotics, multi-agent systems, distributed systems, graph theory, computational geometry, machine learning, artificial intelligence, emergent behavior, and stochastic processes. I am always on the lookout for students that share my interests. If you are interested in becoming my student and doing research in some or all of the areas listed above, then that is wonderful and we should chat! However, please read my recruiting policies before getting in touch. I am an Assistant Professor in the Department Aerospace Engineering at the University of Maryland, College Park. I hold a courtesy appointment as an Affiliate Assistant Professor in the Departement of Computer Science. Before joining to UMD in 2018 I held a number of research related positions at a variety of institutions, including: A National Research Council (NRC) Postdoctoral Associate at the U.S. Naval Research Laboratory (NRL). A Research Associate with the Department of Aerospace Engineering Sciences at the University of Colorado at Boulder; in residence at the Control Science Center of Excellence, within the Air Force Research Laboratory. A Postdoctoral Associate with Aerospace Robotics and Embedded Systems Laboratory and the Laboratory for Information and Decision Systems at the Massachusetts Institute of Technology. 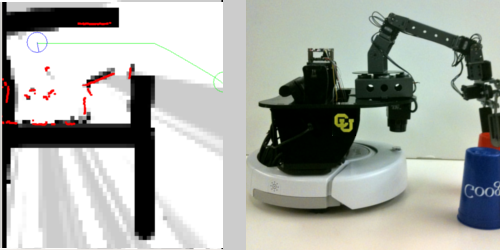 I received my PhD at the University of Colorado at Boulder, with Correll Lab in the Department of Compute Science and the College of Engineering and Applied Science. Check out the YouTube Video describing our work with Group Mind Neural Networks on Robotic Swarms. We are in the process of reviewing submissions to an Autonomous Robots (Springer) journal special issue titled: Robot Communication in the Wild: Real-World Problems, Systems, and Methods. It was on the interesting problems at the intersection of robotics/autonomy and communication!